These past few months I have been loving skincare and have constantly been changing up my skincare routine to see what works best for me. I've also developed a little bit of an obsession with natural products and probably about 90% of my current routine contains natural ingredient products. I think when I use products with natural ingredients I just feel like I'm treating my skin more than I would be with products that don't contain natural ingredients. 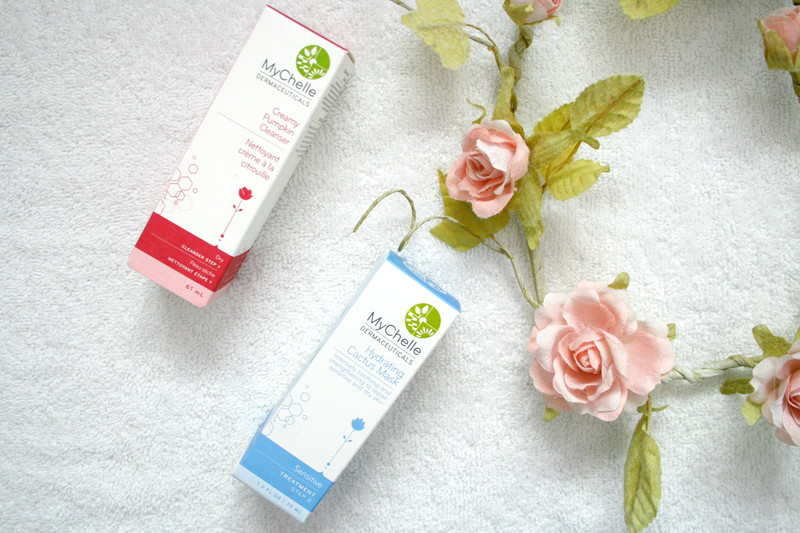 Say hello to MyChelle skincare, a brand I have been trying out for a while and have fallen head over heels in love with! 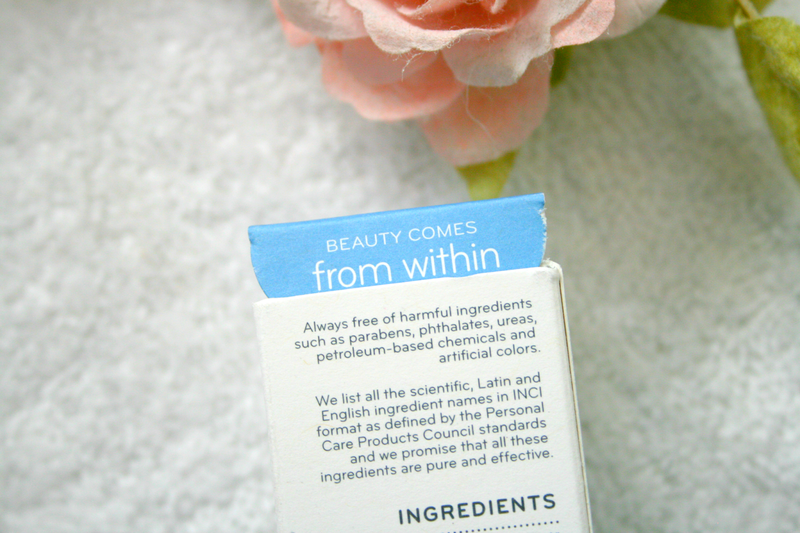 A natural and cruelty free skincare brand based in America (but don't worry you can buy it in the Uk & Ireland also!) What I really like about this brand along with the two previous points is that it caters to all skin concerns, so they have specific products to help dry, sensitive, eczema, wrinkles and even hyperpigmentation skin along with others! 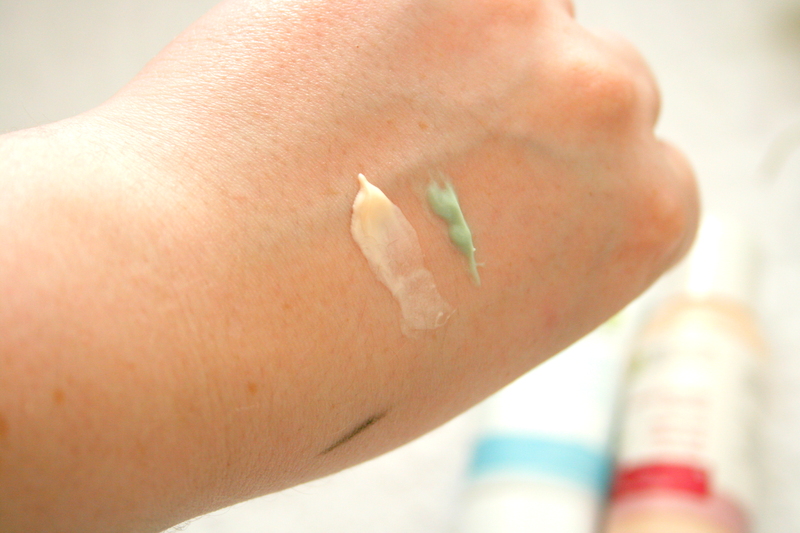 I have dry skin while it's also sensitive so these two products suited it so well. Also before I get onto the products I just want to say that I really like the packaging, it's simple but also very pretty. Also I think it's so lovely that when you are opening both products on the tab it says "Beauty comes from within" it's just a real nice little touch to the product packaging. Now onto the products themselves! Creamy Pumpkin Cleanser* has me absolutely amazed! (for Dry skin) Not only does this cleanse your skin and help clear any impurities lurking on the skin it also exfoliates your skin...I am still amazed. So instead of using three different products which I normally would, all I had to do was use this one single product to do all three jobs! This left my skin feeling absolutely glorious and it exfoliated it so well without being harsh in any way. My skin felt fresh and felt like it was able to breathe, it is a little bottle full of magic. It's basically just like rubbing a normal cream onto your face which is why it amazes me that it exfoliates as there are no little beads in the product itself! Also it smells of Pumpkins and I'm all for anything reminding me of Halloween! When using this all you have to do is dampen your face and then using a coin size of product massage it into your face and then rinse off and finish with your serums, mists, creams or whatever product you use. It's been a very long time since I've instantly fallen in love with a skincare product that does what it claims and more! But this just knocked everything off the shelf and has become my new favourite. Also it's so affordable, for a 60ml bottle it will set you back £8.50 while a 130ml will set you back £14.00 which is so unbelievably amazing for a product like this. 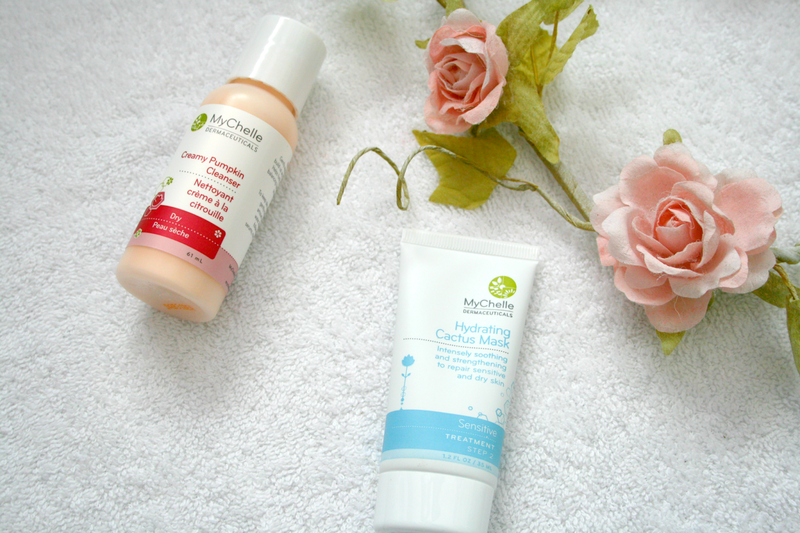 The second product I tried out was the Hydrating Cactus Mask* now personally I love a good face mask especially when I want to have a little pamper night, however this one is definitely something different than the ones I normally use. While others just offer to leave you feeling relaxed and maybe help keep away blemishes etc this one is especially for when your skin feels tight and lacks moisture this helps hydrate it and return it back to being comfortable. Personally I get them days where my skin just feels tight and horrible and when I used this, and left it on for the recommend 20 minutes it just left my skin feeling back to it's usual self and hydrated. This is aimed at sensitive and dry skin so again was perfect for my skin type and it didn't irritate it in any way, if anything it soothed my skin! I will say I'm not a huge fan of the smell but once you rinse if off and follow with the rest of your skincare routine the scent strays. However because of how well this works I get on with the scent, I have used this probably a good 12 times now and there is still so much product left which is so great! I also like the fact that it is in a tube and not a sachet so you can control the amount you apply, one thing about me is that I hate having a real thick facemask on and like ones I can apply to my own liking. While this mask is slightly more expensive than the cleanser, it will set you back £21.00 it does last a good amount of uses and really helps your skin go back to normal and lose any discomfort you may feel. I imagine this would be amazing after a long day travelling as well! All in all both these products have knocked most of the skincare products I was using off my shelf. They contain natural products, are cruelty free along with being Vegetarian friendly and gluten free! The results they gave were truly immaculate and I just know that as soon as I run out I'm going to purchase them as I haven't tried anything like them before! You can check out the MyChelle website to view their other products and find out more information here or you can find it in stores at Clery's Dublin and Nourish Stores also in Dublin! 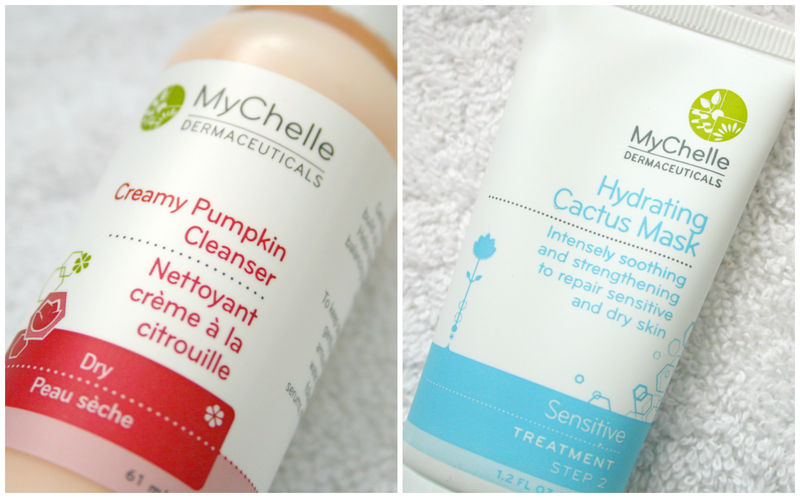 Have you tried any products from the MyChelle range? This sounds great, I've never heard of it before. My skin has definitely been feeling tight and dehydrated recently, I'll have to check this out!